We took the opportunity of the long weekend to head over to the West Coast for a road trip with some friends and our kids. It is about a three hour drive from Christchurch over the Southern Alps via Arthurs Pass to get to Hokitika. You can also fly which takes about 30 minutes from Christchurch and rent a car when you arrive in Hokitika, or the other alternative is the Trans-Alpine Express which is a very popular train ride and it takes you to Greymouth which is the next town slightly further North. This part of the world is best explored by car. There are boating facilities in both Greymouth and Westport if you were desperate, but the river bars that you need to cross to get in are notoriously dangerous, so you wouldn’t want to go in if it was rough or if you had a broken motor for example. 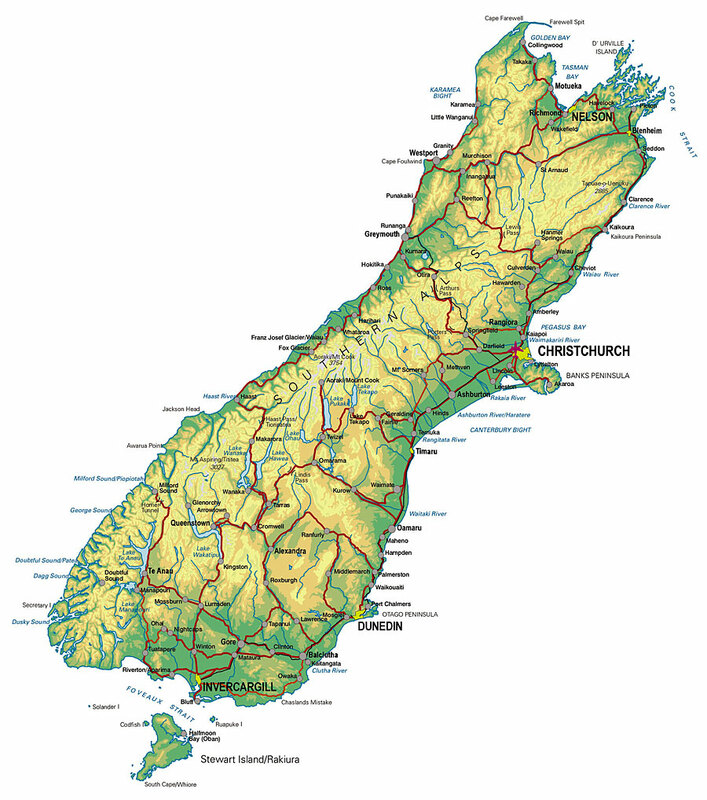 So your West Coast of the South Island boating experience is really limited to Fiordland which is in the far South. It is a long way from Fiordland all the way up to Golden Bay, so if you are sailing this part of the world, avoid the Nor-Wester which really does hammer this coastline and drenches it with rain on a fairly regular basis! Thankfully we had glorious weather when we were there! We spent a night in Hokitika. There is plenty of accommodation, great cafe’s and some good pubs too, although we didn’t get a chance to try them out. The beach here is wild and full of driftwood and breaking waves, at night you can take a short walk off the main highway to see glow worms, and there are two beautiful lakes nearby – Lake Kaniere and Lake Mahinapua. About a 30 minute drive from town is the Hokitika Blue Gorge which has a swing bridge over some incredibly blue water. Take your hiking boots as there are so many wonderful walks to do, and you can explore some of the colourful gold and coal mining historical relics which have been left in the bush. Franz Josef Glacier is about two hours drive South from Hokitika. Again there is plenty of accommodation and a great selection of restaurants. Take your hiking boots as the Glacier itself is retreating fast, and it is quite a long walk from the car park to get close enough to catch a glimpse of the Glacier, and probably at least an hour to get to the terminal face itself. The track is well formed and marked. There are also glow worm caves, a kiwi house and hot pools here. Twenty minutes south of Franz Josef, is the Fox Glacier. You can get lovely views of Mt Cook from beautiful Lake Matheson, and if you drive another five minutes further down the road, the view of the Glacier is amazing. Further along this road is Gillespies beach, which has a camping area, more bush walks and gold mining relics. We did the Quick Fox walk with Fox guides, which takes you on a raft over the river, and then you walk along the riverbed over some small streams to get to the terminal face. From there you put on crampons and walk up on the ice for some incredible views of the Glacier. This was the cheaper option as taking a helicopter flight was quite expensive, and I think I would rather spend the money to go heliskiing on our own mountain as opposed to being dropped on top of a Glacier with lots of tourists. I think I have been spoilt by the Tasman Glacier experience! On our last day we took the kids to Shanty Town. This is an open air museum showing off a steam train, gold mining, logging and some of the other industries of the Coast. The kids loved the steam train ride and panning for gold. There is a nice wee cafe and lots of display shops displaying some of the old things. There is a great playground too. It is a nice way to spend the day with kids. So over three days we had a great look around, but there is so much more to see and do. Further up the West Coast from Hokitika north, there is even more. The West Coast is a spectacular place to visit.